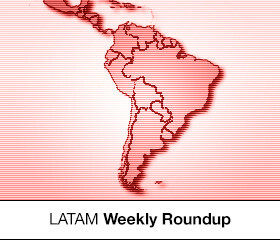 This week’s LATAM RoundUp brings the following stories: Latin American online retailer OLX announces new media formats — allowing customised campaigns to be sold via programmatic; Kantar Ibope Media’s recent data of media consumption in Brazil; and the retailers in Brazil that had the highest amount of visits originated in mobile campaigns. OLX, a Latin American online eBay-style retailer, announced availability of their first customised campaigns; which allow a wider variety of formats and media. 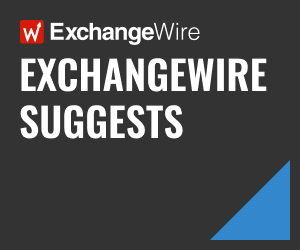 The offer will be sold programmatically to ad agencies and big advertisers. The company claims its inventory reaches 43 million unique visitors and the website has more than three billion monthly page views. “OLX’s business model allows, via programmatic media, automated trading to advertisers — which accelerates a bureaucratic process that had been wasting a lot of time for the agencies’ professionals”, said Andrea Mendes, ad director, OLX Brasil. She also emphasises the nature of the website: the fact that their users are keen to spend money online, once the website displays several items on sale uploaded by other users. OLX is among the top 10 Android apps in Brazil and its main advertisers are in the automobile, properties and financial sectors. There are more than 12 million online ads, and roughly 60% of the transactions are made via their mobile app. A recent report revealed by Kantar Ibope Media brought more details about media consumption in Brazil. The highlight is that TV, still the main media in the entire country, is being seen on average for four hours and 28 minutes a day. Yet, internet is part of it: 37% of the users said they browse the internet at the same time that they watch television; with 61% considering that ads on TV are interesting, bring up topics for conversation. The internet has grown 32% in the past five years in the country — and 51% of the users in Brazil belong to the upper classes (A and B). 21% of people who accessed the internet at least once in the past seven days are between 12-19 year old, and the average time spent online totals three hours and 33 minutes per day. Among devices, 64% access the internet via smartphones — above 48% who do it through notebooks and 45% who use desktops. 84% of Brazilians use the internet for instant messaging, whereas 82% for social media and 68% for emails. The infographic with all the data is available online (in Portuguese). Kantar Ibope Media heard 20,736 people between August and September, between 12-75 years old, in nine states in the country — covering all the regions, except the North and the Central-West of the country. In Loco Media released earlier this week interesting data about mobile-lead generation in online campaigns in Brazil. According to the company, Pão de Açúcar (a Brazilian retailer part of the French Casino Group) is the company in its sector that generated more online traffic via campaigns displayed in mobile apps last year. The research analysed more than 40 million users’ data in 500 apps that are part of the In Loco Media’s network. Pão de Açúcar is followed by Walmart Brazil, the local Lojas Americanas (online retailer), O Boticário (cosmetic brand), Raia Drogasil (drugstore), and Carrefour, respectively.